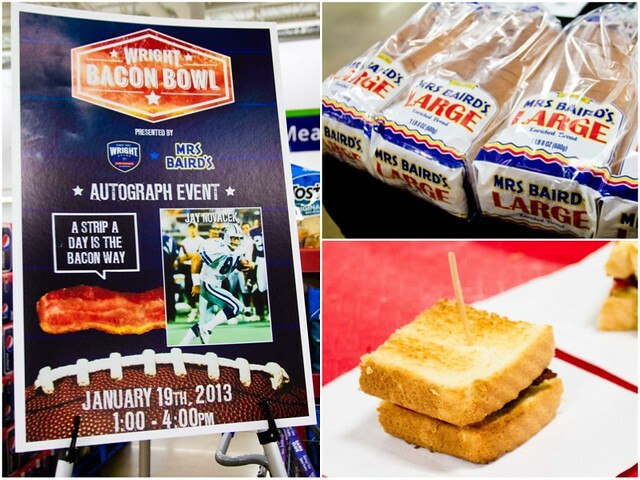 Last weekend, we had the chance to meet Jay Novacek at the Wright Bacon Bowl at Sam’s Club in Plano. Growing up, my dad and grandpa were HUGE Cowboys fans. I remember going to visit my grandparents to watch the games. My dad still makes a point to watch the Cowboys on Sundays during the NFL season, so I knew I wanted to get #84’s autograph for him. Andrew didn’t really know what was going on, but I made sure he was in a Cowboys shirt for the occasion. We’ve already started indoctrinating him into the Aggie football culture, so rooting for the Cowboys isn’t far behind. While we were there, I had to try their Wright Brand Bacon Buffalo BLT, made using buffalo-flavored bacon. The buffalo bacon added a nice flavor to the BLT, and was complimented by a spicy mayo. I knew I had to try to recreate the recipe when we got home. 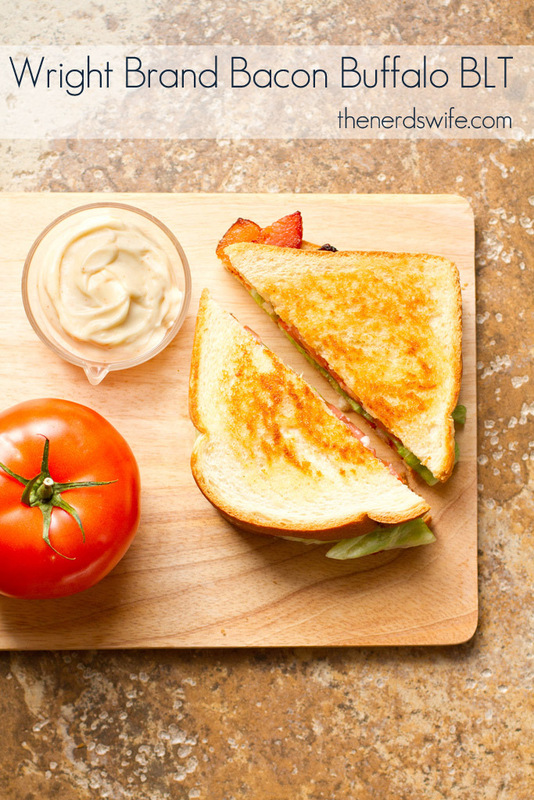 One of my absolute favorite things to each for lunch is a BLT. 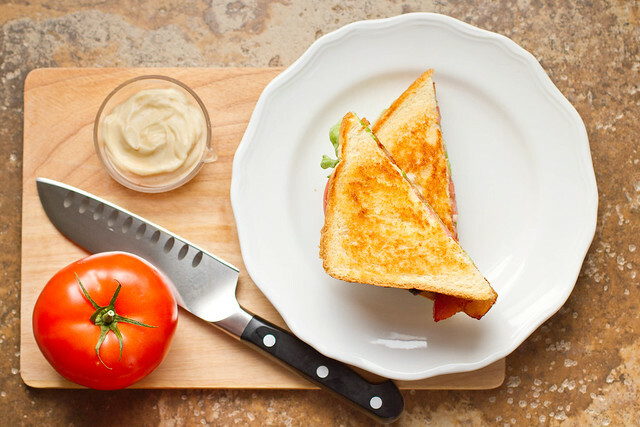 Bacon is so easy to have on hand, and it doesn’t take long to whip out a great-tasting sandwich for lunch during the day. I was really pleased with my recreation — not too spicy, but flavorful. Prepare the bacon according to package directions to desired crispness. Slice the tomatoes and lettuce and set aside. Toast the bread. Mix together the mayonaise, tabasco sauce and cayenne pepper. 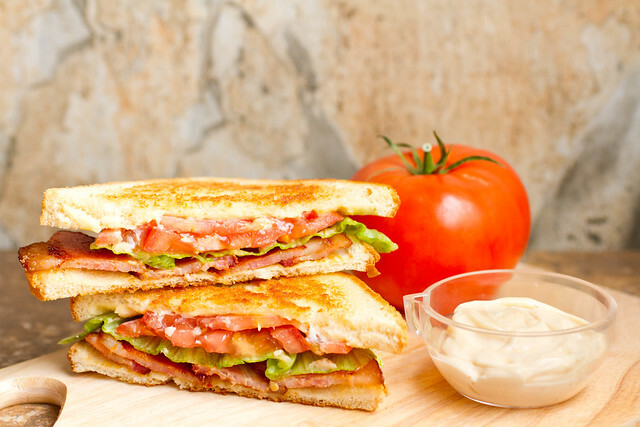 Spread on bread, then top with lettuce, tomatoes and bacon. I’ll definitely been making these again. 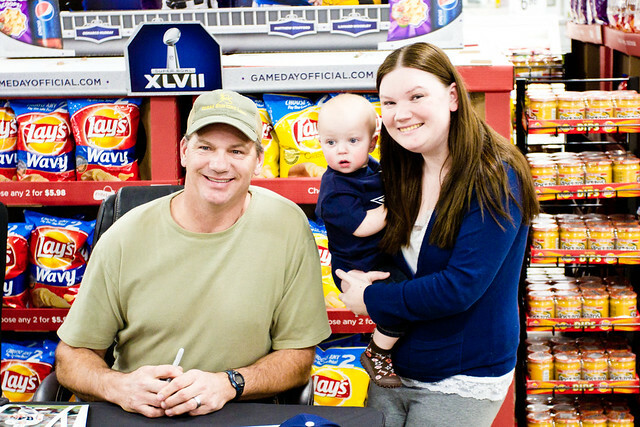 They would be the perfect addition to your football party for the Big Game! 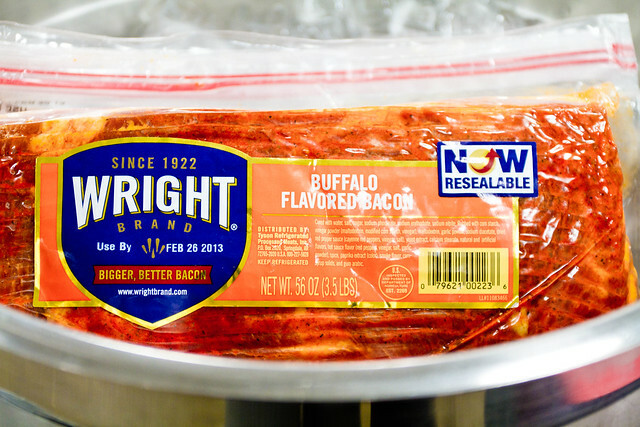 Be sure to check out Wright Brand Bacon on Facebook and Twitter. 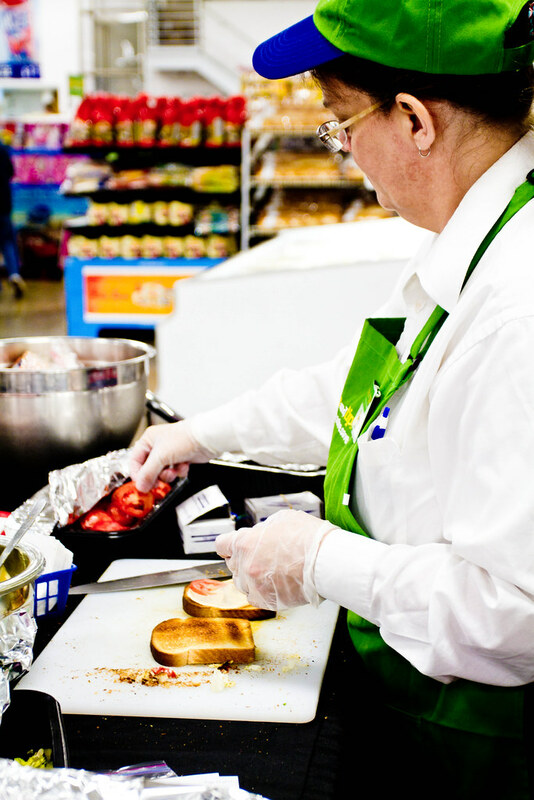 What’s your favorite way to enjoy a BLT?